Back in August we planned on rating ( as we do each month during the season) the Red Sox prospects after the completion of the minor league seasons in early September. Here it is November, and due to the extra attention garnered by the big club in September and October, we had not yet published the list. But here it is an expanded version of our usual Top 12. These are the Top 20 kids in the Sox system as of the end of the 2013 season. It is a deep list representing the deep, strong system the Red Sox have assembled. Of course, this will not happen, but every name on this Top 20 has a reasonable to definite chance of helping the Red Sox from all ready ( Bogaerts, Workman) to 4 or 5 years from now. 1. Xander Bogaerts, SS/3B- Boston. After watching Bogaerts start every game of this year's World Series at third for Boston, everyone has seen the future. After beginning the season at Portland, Xander was promoted to AAA in mid June. His combined line was 15/67/.297/.388/865. In the post season for Boston, Bogaerts hit .296 with three doubles and a triple among his eight hits, while scoring nine runs. The only question for Bogarts to start 2014 is will he be the starting shortstop or the third baseman. There are prospects, then there are prospects like Xander Bogaerts. 2. Jackie Bradley, Jr., OF- Boston. 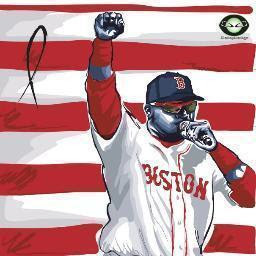 With free agent Jacoby Ellsbury 99.9% out the door, it is a very real possibility that Bradley, Jr. is the starting center fielder for the 2014 Red Sox. And a fierce debate is underway in Red Sox Nation whether Jackie is ready. Those who say no seem to be basing their opinion on his failure to hit in April, when he earned the chance to begin 2013 with Boston. However, if you take a look at his 2013 season at Pawtucket ( in and around his four stops in Boston), he continued putting up very similar numbers as the rest of his career. 10/35/.275/.374/.842 in only 80 games. Two things stand out, as he has throughout his minor league career, Bradley, Jr. put up an outstanding OBP .374. In addition Jackie hit 10 home runs in only those 80 games ( plus two more for Boston). And as usual, Bradley, Jr. played very outstanding defense in center. Bradley is not Bogaerts, maybe no other prospect in baseball is, but he will be an outstanding major league center fielder for years to come. 3. Garin Cecchini, 3B- Portland. Cecchini represents the lead man of the next wave of Sox prospects, the ones who have not yet reached AAA or even Boston. But if not next year, certainly by 2015 this outstanding hitter will arrive. Like Bradley, Jr. the strongest facet of Cecchini's game is getting on base. In 2013, Garin payed 63 games at Salem ( A) and 66 for the Sea Dogs at AA. His combined line was 7/61/.322/.443/.915. His OBP at Salem was .469 and .420 at Portland. His future as a Sox third baseman is intertwined with Bogaerts and Will Middlebrooks. It is not out of the question, Cecchini could be moved to first base or left field. But his bat will play in the big leagues. 4. Henry Owens, LHP- Portland. Owens just missed being third on this list. Out of all of the starting pitchers on this list ( and you are about to see several in a row), Owens likely had the most outstanding season in 2013. His combined line for Salem and Portland was 11-6/2.67/169-68/1.13 while throwing 135 innings. He led all Red Sox minor leaguers in K's, tied for first in wins, third in ERA and fourth in WHIP. Near the end of his time in Salem, over a four game stretch, Owens incredibly put up a hitless streak of 19 1/3 innings. After his promotion to AA, he also hurled five no hit innings in one of his starts. His ERA and WHIP were actually lower for Portland than Salem. Because Henry is still only 21 and due to a likely all ready full of prospects 2014 Paw Sox rotation, Owens will likely begin 2014 back in Portland. 5. Brandon Workman, RHP- Boston. Workman, as with Bogaerts, was an integral part of this year's World Championship for Boston. And also as with Xander, Workman began his season at Portland, then onto Pawtucket, before arriving in Boston. Workman due to innings pitched and service time in Boston, has lost his rookie status for 2014. He is still on this list, though, due to the question of his role. Will he be part of the Boston rotation or bullpen going forward? After pitching well in three starts when he first came up to Boston ( including taking a no hitter into the 7th vs. the playoff bound A's), it certainly seems he is capable of starting at this level. Workman's 2013 big league results were enough to nudge him up the list ahead of the next three right handers. 6. Matt Barnes, RHP- Portland*. It was really a tale of two seasons in one for Matt Barnes in 2013. After dominating class A in two stops in 2012, Barnes hit Portland this April and the Eastern League initially hit back. His ERA for April was 8.79. This horrible start masked somewhat an eventual turnaround. After the All Star break, his ERA was a sterling 2.66. At the end of the year, Barnes was sent up to AAA, and in his only regular season start, Matt pitched 5 1/3 three hit shutout innings, with seven K's. For the year Barnes had 142 strikeouts with only 48 walks, and he led the organization in K per 9 innings with 11.28 ( Henry Owens has 11.27). Barnes still has the dominant stuff and will go back to Pawtucket for 2014, and could be ready for his first appearance in Boston next year. 7. Anthony Ranaudo, RHP- Pawtucket. After a dismal injury filled 2012, Ranaudo returned to Portland and blew through the Eastern League to the tune of 8-4/2.95/106-40/1.09. He pitched in the EL All Star Game and the Futures Game. After a promotion to Pawtucket, Anthony continued to pitch well going 3-1 with a ERA of 2.97 ( nearly identical to AA). His 2014 season should begin back in AAA as part of a star studded Pawtucket rotation, but like Barnes he could be knocking on Boston's door. 8. Allen Webster, RHP-Pawtucket* In some quarters, the shine was tarnished somewhat on Webster's rising star due to some rocky spot starts for Boston. And he continued to have command issues. But after the yo-yoing between Boston and Pawtucket subsided Webster's performance improved. In July and August in 46 2/3 innings had an ERA of 2.51 and struck out 49 and best of all walked only 15. Webster still has the dominant sinking fastball that so awed the Red Sox camp last spring, and is still a mid rotation type prospect. 2014 will be a big year for his future with the Red Sox. 9. Blake Swihart, C- Salem. Swihart began the year as the youngest player in the Carolina League, and was one of only three of our Top 20 ( excluding '13 draftees) to play for only one team all year. Swihart was drafted two years ago out of high school with a rep for being an outstanding hitting prospect who may or may not be able to handle the defensive part of catching. And a hitter he is, at age 21, Swihart was in the Carolina League top ten in BA, OBP, OPS, SA, and triples. But the best news of all was on the supposed weak part of his game. Swihart's defense stepped forward by leaps and bounds, he threw out 41% of would be base stealers and in fact was named as Defensive Player of the Year in the entire system by the Red Sox. He will begin next year at only age 22 at Portland, and Blake along with 2013 Sea Dogs catcher, Christian Vazquez , are reasons the Red Sox should not ( and likely will not) sign any catcher to a long term deal. If not for all of the strong pitching ahead of him on this list, Swihart could easily be third or fourth on this list. 10. Mookie Betts, 2B- Salem. This 2011 fifth round draft pick, was the one player this year who exploded up our list. His year began at low A Greenville and after a brief slow start, Mookie began to rake and hit with power and he did not stop for the rest of the year, even after a promotion to high A Salem. His combined line was 15/65/.314/.417 ( .418 at G'ville and .414 at Salem)/.923. Betts led the entire system in Slugging % at .506. He is an outstanding defender at second ( after being moved from SS while at Lowell earlier in his career), but of course second base is occupied in Boston for years to come. There is some speculation that eventually Mookie could be moved to the outfield, if not as a full time outfielder at least to make him a super sub type player. The presence of Pedroia could also make Betts a part of a trade package this winter, if the Sox attempt to swing a big deal. Portland awaits for 2014 if Betts is not dealt. 11. Christian Vazquez, C- Portland. After spending nearly all year at AA, Vazquez was promoted to Pawtucket, where he caught for the Paw Sox in the Governor's Cup playoffs. Vazquez may have the best throwing arm for a catcher in all of baseball. His arm is compared to the Molina brothers ( who Vazquez works out with in the off season) and by some with Pudge Rodriguez. His question has always been can he hit enough to play in the big leagues. This year showed some definite promise, he was streaky as he had a couple of extended hot stretches and some slumps but his overall line was 5/48/.287/.375/.766. If Vazquez can put numbers remotely resembling those, he will have a long and productive big league career. 2014 should start at Pawtucket, and his chance to play in Boston will largely be determined by the off season maneuvering by Ben Cherington and his plan for behind the plate in Boston. 12. Trey Ball, LHP- GCL. This rating is strictly on the basis of Ball being the number seven overall pick in the 2013 draft. The Sox had not picked that high in 20 years, and the Indiana high schooler is labelled a can't miss power lefty by all the scouts. After signing, Ball pitched only 7 innings, so 2014 will be the real start of his career in the Red Sox system. 13. Rubby De La Rosa, RHP- Boston. Rubby, due to his big league time with the Dodgers and Red Sox, is no longer rated on some prospect lists, but since he did not establish himself with the Red Sox in '13, we are including him. He has slipped from his mid top ten ranking of earlier this year. 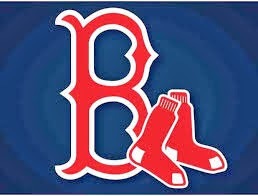 That reason is it is becoming more apparent that De La Rosa's role in Boston will be in the bullpen. That is not necessarily a bad thing, Rubby could figure in a big way in the 2014 bullpen, maybe he is even the heir apparent to Koji. He like former ex-Dodger farmhand, Allen Webster, needs to throw more strikes. Depending on off season moves for any other bullpen arms, Rubby very well starts 2014 in Boston's pen. 14. Deven Marrero, SS- Portland. 2012's first round pick is quickly working his way up the Red Sox ladder, finishing the year at AA Portland after spending most of his year at Salem. His offense is somewhat suspect hitting .252 with 2 home runs for the year. But defense is Marrero's forte, and now that Jose Iglesias has been traded, Deven is next up on the shortstop depth chart for prospects, if Xander Bogaerts does not claim the job and ends up at third base. Deven will begin 2014 at Portland. 15. Manuel Margot, CF- Lowell. This 19 year old completed his first minor league season stateside. At Lowell his line was 1/21/.265/.341/.687, but these numbers do not tell his story. Margot is blazing fast and a " plus-plus defender". His offense is still a projection at this point but when he fills out his power is expected to improve and also projects as a likely lead off hitter. He could be the next international signee who tears up the system ( a la Bogaerts). 2014 likely begins at Grenville. 16. Bryce Brentz. OF- Pawtucket. Brentz is above ten spots further down this list than a year ago. Partially this is due to the plethora of prospects above who have passed him, not of his own doing. But also, Brentz missed nearly all of spring training after accidentally shooting his own leg. And he also missed a large part of the season due to another injury. But in only 88 games Brentz still had 19 home runs ( tied with David Chester for the organization lead) and 64 RBI. Brentz has big time right handed power, and for whatever reason(s) that is in short supply throughout the big leagues. Due to this fact, Brentz will get a chance to play big league ball, and if he stays healthy that will likely be in 2014. 17. Drake Britton. LHP- Boston. Like Bogaerts and Workman, Britton played for Portland and Pawtucket before moving up to Boston to help with the title drive. Unlike the other two, Britton was not on the post season roster. But his regular season appearances, all out of the Boston bullpen, seemingly has cemented his future as a power lefty out of the pen. 2014 may begin at Pawtucket or Boston, but it will be pitching relief. 18. Brian Johnson, LHP- Salem. Boston's second first round pick in 2012, put together a good year despite fighting some injuries. His line for Greenville and Salem ( and a GCL rehab stint) was 2-6/2.54/84-25/1.12 in 85 innings pitched. He may return to Salem to begin 2014, but a trip to Portland will come during the year if not at the start of the year. 19. Jon Denney, C- GCL Power hitting high school catcher from Oklahoma. 2013 third round pick, who fell from the first round due to signability issues. Like Trey Ball, 2014, when Denney likely begins at Greenville, will begin to showcase his pro talent. 20. Teddy Stankiewicz, RHP- Lowell. Another 2013 draftee ( 2nd round). Stankiewicz with one year of JUCO ball under his belt was assigned to Lowell rather than GCL. The 2011 Mets second round choice put up a line of 0-0/2.29/15-2/0.97 in 19 2/ 3 innings as a 19 year old. He almost certainly will begin 2014 at Greenville. Later this winter, after the winter meetings and other off season wheeling and dealing, we will bring you the remainder of the top 50 Red Sox prospects.